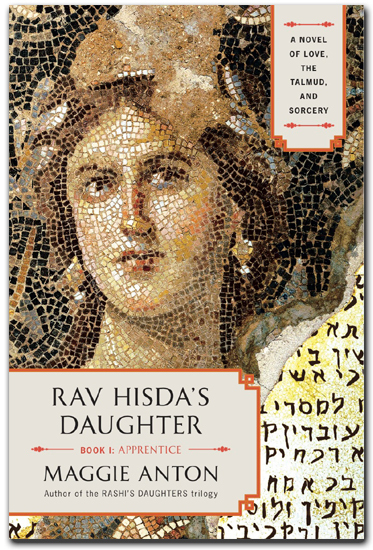 Hisdadukh, whose Persian name means Hisdas daughter, is one of the most frequently mentioned women in the Talmud. 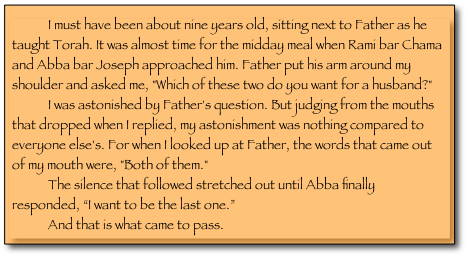 Her story, set in the household of the 3rd century Babylonian sage, unfolds as this sacred Jewish text is being created by her father, his colleagues, and their students. Her world is full of conflict. Rome, fast becoming a Christian empire, battles Zoroastrian Persia for dominance. At the same time, a small group of beleaguered rabbis try to establish new Jewish traditions after Jerusalems Holy Temple is destroyed. Against this backdrop Hisdadukh embarks on the tortuous path to become an enchantress in the very land where the word 'magic' originated, where some women draw on the occult to protect and heal, while others employ sorcery to injure and to gain power for themselves. But the conflict that affects her most arises when, as a child, her father brings his two best students before her and asks whom she wants to marry. To everyones surprise, she replies, Both of them, after which the younger student says hell be the last. Thus she marries the older youth, although it is apparent that his rival has not lost interest in her. But Hisdadukh is to suffer the greatest losses a woman can experience, and to find solace, flees to Eretz Israel. There she will face an evil sorceress who intends to destroy her, an old suitor she despises, and a mosaic artisan who offers her happiness at the cost of repudiating everything her family values most. Read Maggie's blog to find out more.